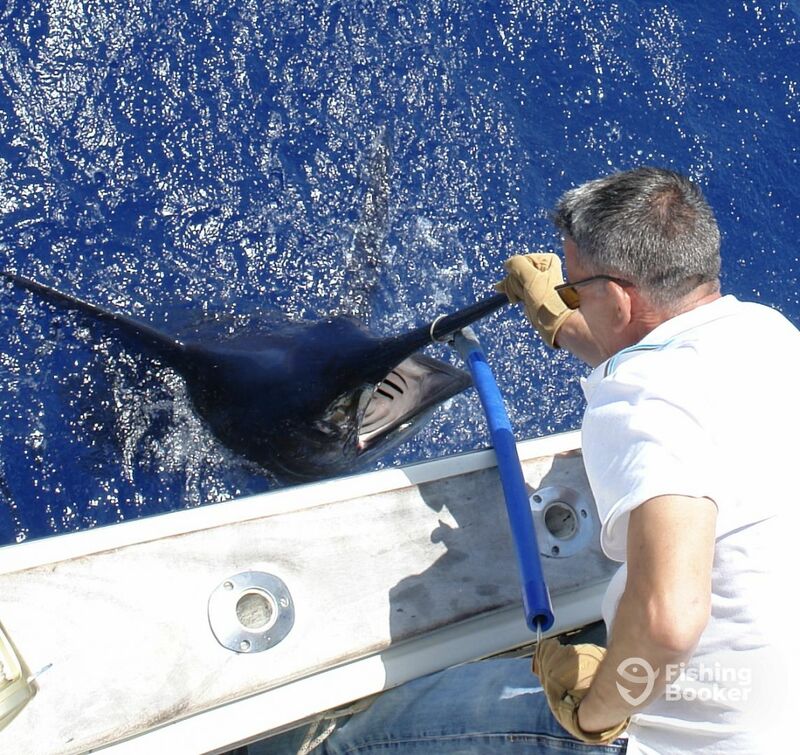 Skipper Matt Waddell specializes in catching and releasing the huge Blue Marlin that Madeira is famous for. He also has a reputation for bringing in some massive Tunas, from Bigeye to Bluefin. 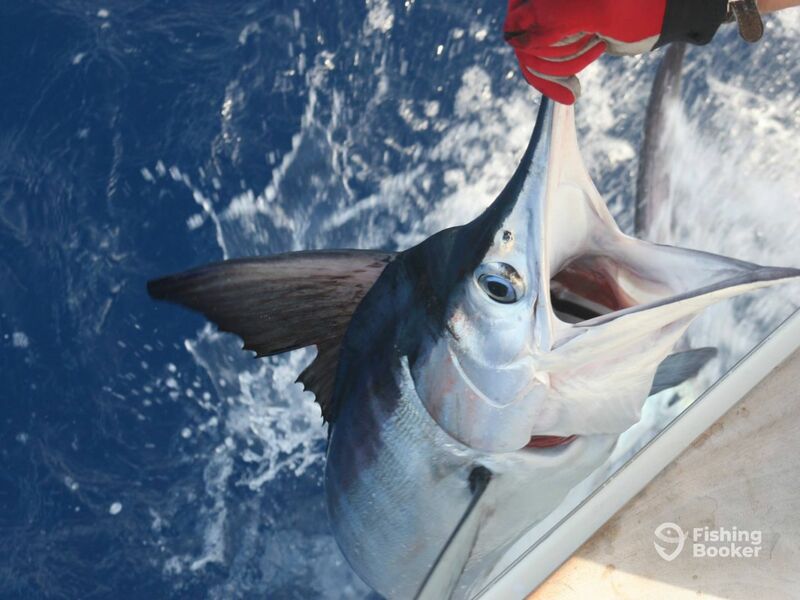 Madeira has become famous among those in the know for having some of the best big game fishing on the planet.We also offer jigging, popping, and trolling for wahoo, dorado, snappers, blue fish, amberjacks, skip jack and many other species. 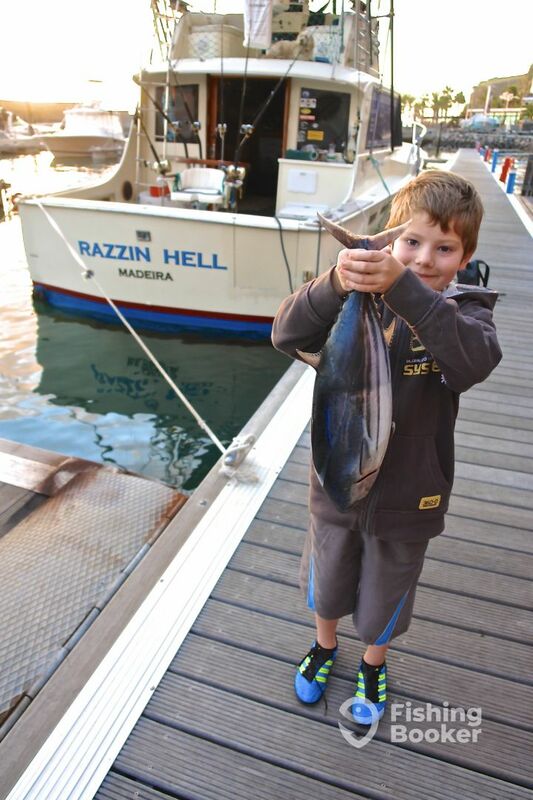 The best fishing grounds start immediately outside Calheta marina, so no time is wasted. 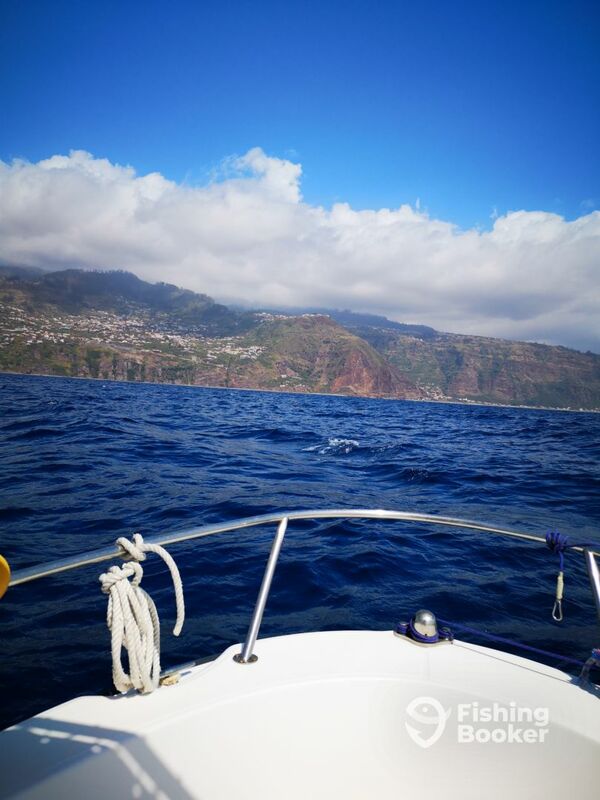 There is nothing quite like the extreme fishing here in Madeira, especially from the very safe and stable Boston Whaler Outrage `Mako´, this is fishing at its best. And we take it very seriously. the best fishing challenge there is! 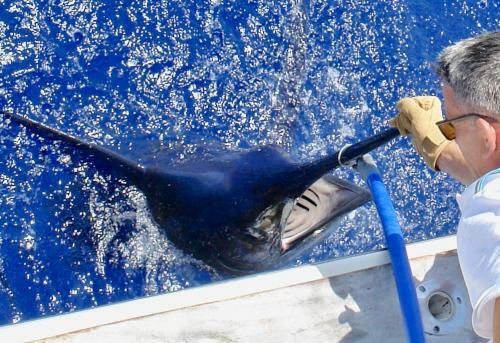 Trolling for Big Blue and White Marlin, Tuna. Wahoo, Dorado, Albacore. jigging ,popping, bottom fishing . The hubby and I had a super half day sport fishing with Mako Madeira run by 2 lovely guys. As someone who was a bit nervous, have to say they were very professional and safety conscious, the nerves soon disappeared!! They are very knowledgeable of the fishing grounds and along with the fish finder got us over loads of fish (who admittedly were playing hard to get) Nonetheless we had a fantastic day and wouldn’t hesitate to go back out with Matthew & Mike again and would definitely recommend them to everyone. Thanks to you both for a great day. Captain Charlie and Mate Matt were extremely friendly and great company but did not appear to put much effort into the fishing. They only changed 1 lure in 2 days of fishing despite no bites on their selected lures. They both sat up top and appeared to just be going through the motions without any real fishing effort. Several times I had to point out things to them, i.e. other boats that were hooked up or birds diving, because they were no paying attention. It also appeared that they were taking turns napping and not fishing. I also learned once on the boat that they could not travel farther than 6 miles from shore whereas other boats could travel to more productive grounds. This was a bucket list type of trip for me and overall I was truly disappointed. We where trolling one day I the beginning of May. It Was two weeks to early for most fish species, and there was only tuna in the area now. 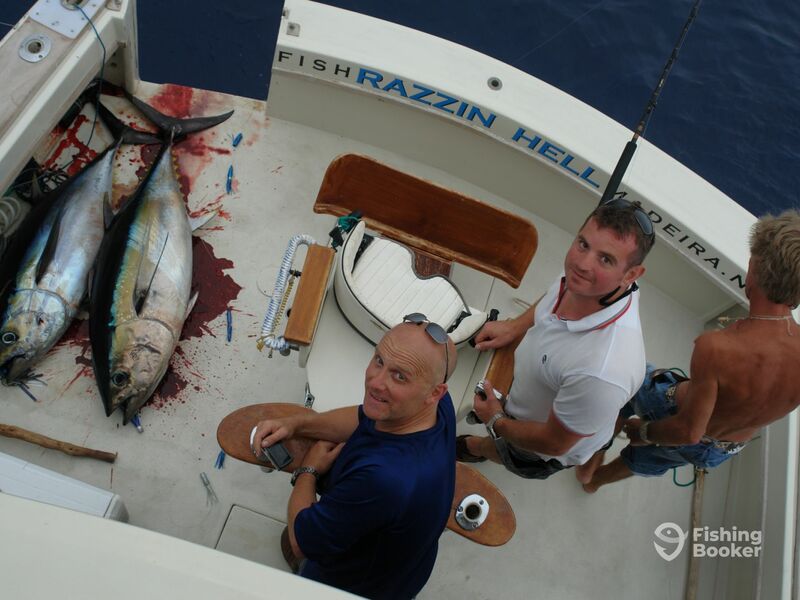 We didn’t have any luck with the tunas that day (but that´s fishing some times) but the weather was fine and Charlie and Matt did what was possible to find a fish, and they are really an experienced crew. We had a fine day and we would like to come back another time. Hello Gabriella and Ulf, thank you so much for taking the time to right this kind review. It was a great pleasure to have you both on board the `Mako` boston whaler. Sorry we did not catch you that prize fish! But hopefully the beautifull Island of Madeira will tempt you into retuning again. And catching that fish of a lifetime. Hope to see you again soon, Best regards Matt and Charlie. We had a great day on the boat, beautiful place, great boat and top quality tackle. We were a stag do of 11 plenty of room for us all. Well catered for and looked after. We had a great day on the boat, beautiful place, great boat and top quality tackle. We were a stag do of 11 plenty of room for us all. Well catered for and looked after. Will be back! Thanks again Andy! Thanks very much chaps , was a pleasure to see you all on board the `Razzin Hell´, hope to see you all again! Many thanks , Matthew and Charlie.